Yesterday, February 1, began the month-long Black History Celebration acknowledged by our nation. 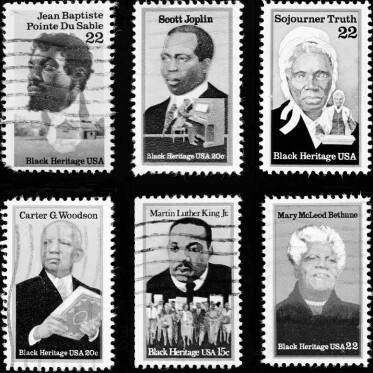 While we know that Black History should be celebrated all year round, during the month of February, there are numerous events held to recognize the notable achievements of many well-known African Americans. How can we forget the contributions of W.E.B. DuBois and Booker T. Washington? Or the cultural advances of Langston Hughes, Zora Neale Hurston, Richard Wright, and Lorraine Hansberry? We certainly cannot forget the great inventors and scientists such as George Washington Carver, Eli Whitney, Charles Drew, Garrett T. Morgan, and Madame CJ Walker. We will always remember leaders such as Martin Luther King, Jr, Malcolm X, and our very own, President Barack Obama. We are deeply indebted to these individuals and so many others who have paved the way for us to do what we do. One hundred years ago, an African American woman couldn’t dream of being a successful entrepreneur in America, but today that dream is very much alive. We encourage you to reach back into the annals of history and honor those who have helped you leave a footprint in society. We further encourage you to honor the legacy of those before you and make your own history. There is certainly many more pages of the history books to be written. Don’t just study history, become history! ← StudioWed wins Best Gallery at Bridal Extravaganza Atlanta!